No firm launch date and time has been set yet. It will be Not Earlier Than 15th February. 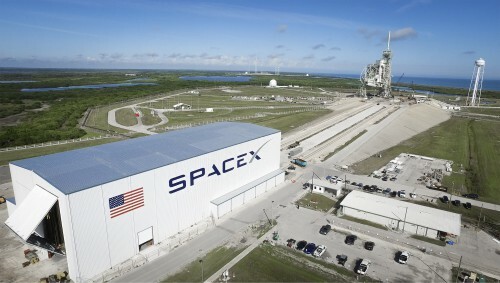 SpaceX will return to flight on the East Coast when a Falcon 9 rocket will launch from Kennedy Space Center's launch complex 39A carrying a Dragon resupply capsule to the International Space Station. This mission has leap frogged the Echostar flight due to the time critical nature of ISS missions. This will now be the first flight from the re-purposed Shuttle Launch Pad. 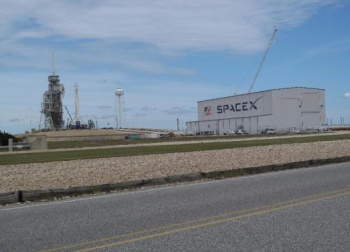 SpaceX have been refitting the launch complex to allow the flight of both Falcon 9 and Falcon 9 Heavy rockets from the East Coast. 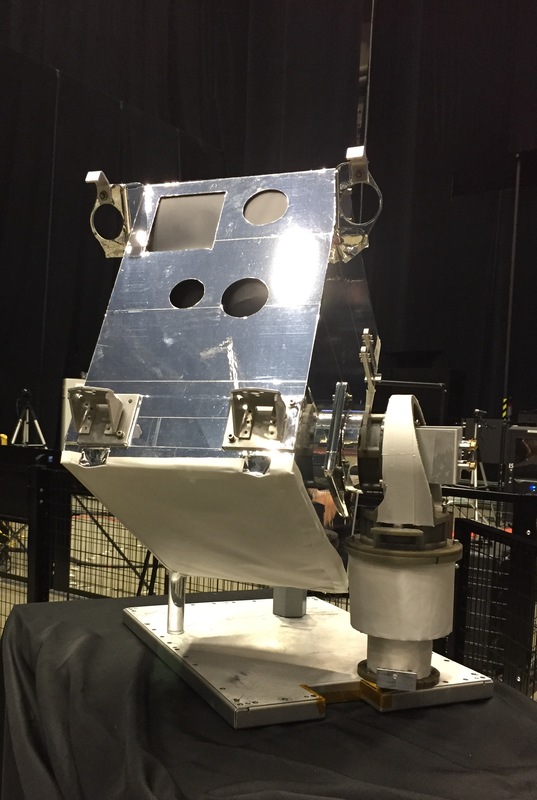 Raven, a technology demonstration headed to the International Space Station on the next SpaceX cargo launch, scheduled for mid-February, will provide a real-time relative navigation system for future autonomous rendezvous missions. NASA will host a media teleconference at 3 p.m. EST Wednesday, Feb. 8, to discuss research investigations launching aboard the next SpaceX commercial resupply flight to the International Space Station. Among the investigations are experiments with potential to fight human disease and a new autonomous spacecraft docking technology for testing. To participate in the science preview teleconference, reporters must contact Tabatha Thompson at 202-358-1100 or tabatha.t.thompson@nasa.gov by 1 p.m. Wednesday for dial-in information. 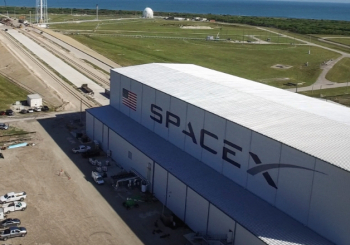 SpaceX has taken over launch complex 39A at the Kennedy Space Center, building a rocket processing hangar and a transporter/erector that will carry Falcon 9 boosters to the top of the pad for launch. 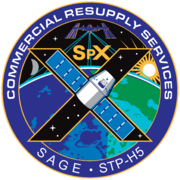 A planned space station resupply mission tentatively scheduled for takeoff Feb. 18 will mark the first operational use of the pad since the final shuttle flight in July 2011. Continuing its recovery from a launch pad explosion last September, SpaceX is gearing up for a Falcon 9 engine test firing at a repurposed shuttle pad at the Kennedy Space Center, a critical step toward verifying the booster and extensively modified pad systems are ready for launch Feb. 18. 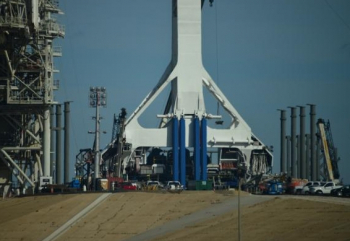 Multiple sources said the “hot fire” test of the rocket’s nine Merlin 1D first stage engines is on tap Friday, but SpaceX has not announced an official target date and as of midday Thursday, the booster was not yet on the pad. Whenever they occur, the test firing and eventual launch will mark the first operational use of pad 39A since July 2011 when Atlantis blasted off on the shuttle program’s final flight and the first Florida launch for SpaceX since a Falcon 9 exploded just before a similar pre-flight hot fire test Sept. 1 on nearby pad 40 at the Cape Canaveral Air Force Station. The spectacular mishap knocked pad 40 out of action, but SpaceX already was modifying pad 39A, just 3.6 miles away, to support Falcon 9 launches and flights by a more powerful heavy-lift version of the rocket. 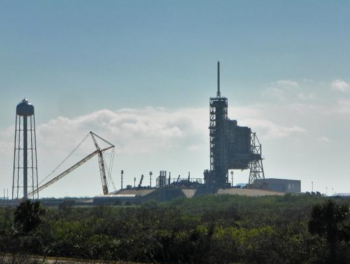 Since the accident five months ago, engineers have been working around the clock to complete extensive modifications to the historic pad where huge Saturn 5s once boosted Apollo astronauts to the moon and where the shuttle Columbia took off on the program’s first flight in 1981. SpaceX chalked up a successful return to flight last month with a launch from Vandenberg Air Force Base, Calif., and hopes to make it two in a row with its inaugural launch from pad 39A at 10:01 a.m. EST (GMT-5) on Feb. 18. If all goes well, the rocket’s first stage will fly itself back to a landing at the Cape Canaveral Air Force Station for possible refurbishment and eventual use on another mission. In this view of pad 39A, the SpaceX transporter/erector can be seen just to the left of the large central gantry. Over the past week or so, the transporter-erector has been seen at the top of the pad going through repeated tests but overnight Tuesday, it was lowered and rolled back to the processing hangar. Exactly when it might reappear carrying a Falcon 9 rocket is not yet known. All Falcon 9s undergo fueling and a short first stage engine test firing before each flight to make sure all ground and flight systems are operating properly before pressing ahead with launch a few days later. Five minutes before a planned hot fire Sept. 1, the second stage of a Falcon 9 rocket carrying a communications satellite suddenly exploded in a churning fireball. The rocket and the $200 million satellite were destroyed in the conflagration and the pad suffered unspecified damage. 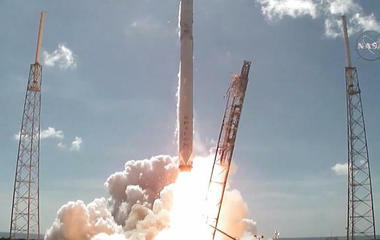 SpaceX hopes to complete repairs and return it to operation by mid May. Engineers investigating the disaster were unable to find a definitive root cause. But they believe the most likely explanation is the rupture of a high-pressure helium tank inside the rocket’s second stage liquid oxygen tank. Helium is used to pressurize the propellants, pushing them into the engines during flight. SpaceX uses colder-than-normal “densified” liquid oxygen and RP-1 kerosene rocket fuel to enable the boosters to carry more propellant, increasing performance. Engineers believe liquid oxygen worked its way into gaps between a helium tank’s carbon overwrap and its aluminum skin, possibly solidifying and triggering the tank’s catastrophic rupture. SpaceX has modified the fuel-loading sequence to prevent the sort of ultra-low temperatures that could lead to solidification. 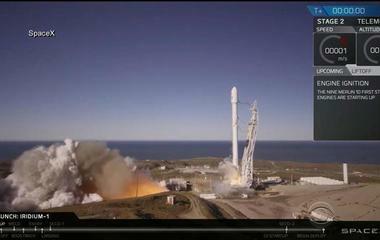 The revised procedures were used during SpaceX’s successful return-to-flight last month at Vandenberg. A SpaceX Falcon 9 climbs away from Vandenberg Air Force Base, Calif., Jan. 14 in the company’s first flight since an on-pad explosion in Cape Canaveral last September. SpaceX hopes to chalk up a second straight success this month with launch of a Falcon 9 from complex 39A at the Kennedy Space Center. 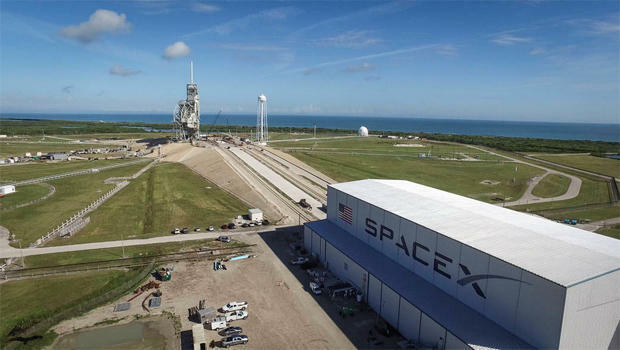 SpaceX originally planned to make its first use of pad 39A with launch of an EchoStar communications satellite in late January, followed by the space station resupply mission this month. The station flight, known as CRS-10, originally was planned for last October but it was delayed following the Sept. 1 launch pad mishap. 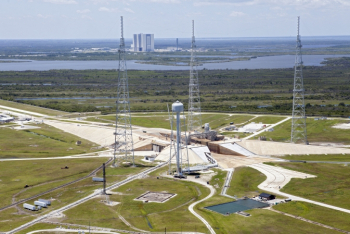 Completing the modifications at complex 39A delayed the EchoStar launch campaign and NASA sources said the agency asked SpaceX to keep the station resupply flight on track for launch this month. As a result, the EchoStar launch was moved to around March 1. 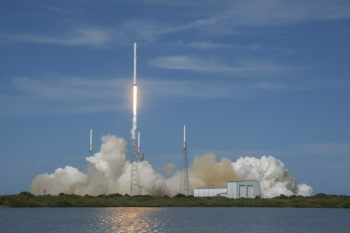 The Dragon cargo ship that will be boosted into space atop the Falcon 9 will carry more than 5,200 pounds of supplies and equipment to the station, including an ozone monitoring experiment, 580 pounds of crew supplies, 842 pounds of spare parts and other vehicle hardware and more than 1,600 pounds of science gear. Also on board: 20 mice that will be returned to Earth aboard the Dragon as the end of its mission to help researchers learn more about what processes prevent most vertebrates from regrowing lost limbs or tissue. NASA hopes to follow the SpaceX/Dragon mission by launch of an Orbital ATK Cygnus cargo ship atop a United Launch Alliance Atlas 5 rocket around March 19. SpaceX plans to follow the CRS-10 flight by launching the EchoStar satellite and then an SES communications relay station shorty thereafter. The SES fight will be the first using a previously flown Falcon 9 first stage, one that was launched last year and recovered after a pinpoint landing on an off-shore drone ship. 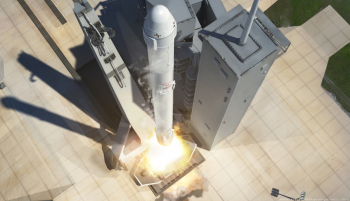 SpaceX hopes to lower launch costs by routinely recovering, refurbishing and re-flying booster stages. A moment nearly six years in the making. 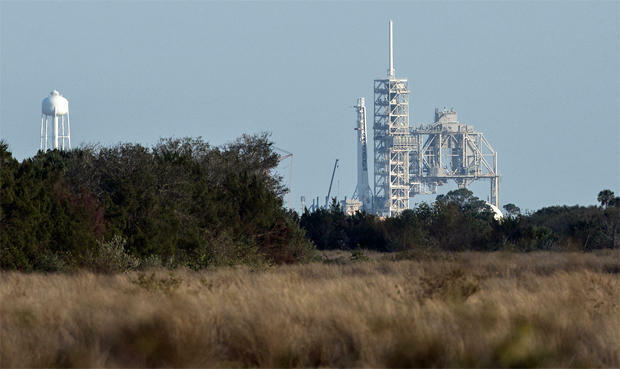 Fire and flame are expected to return to the historic LC-39A launch pad at the Kennedy Space Center as SpaceX conducts the static fire of its Falcon 9 rocket tasked with lofting the SpX-10 Dragon resupply mission to the International Space Station. 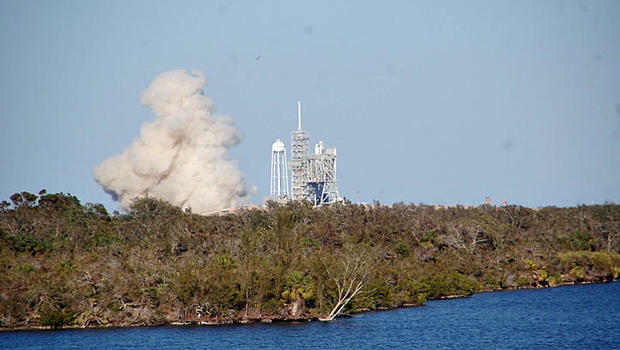 The ignition – now scheduled for Saturday – of the Falcon 9’s engines will be the first time since the Space Shuttle Atlantis left Kennedy on 8 July 2011 that the sound and thrust of rocket engines have graced pad 39A. In the last two weeks, highly visible progress toward pad readiness has occurred – following the pad’s earlier “completion and activation” for verification and validation testing. In late January, the Transport/Erector/Launcher (TEL) went vertical at the pad for the first time – testing connections and the new “throwback” release feature (which sounds more dramatic than it will be in reality) that will debut on SpX-10 in which the TEL will retract at T0 instead of earlier in the count as it has on all other Falcon 9 launches. By 5 February, workers and engineers were into final documentation and validation of Pad A – an internal review process to confirm that the pad is indeed rocket ready. Curiously, SpaceX also requested a backup opportunity for Friday the 10th during the same 1600 – 2200 EST time window. That was since extended to a window that runs through to midnight local time. However, the attempt was then moved to Saturday for unknown reasons, with the window opening at 1000 EST. SpaceX engineers still used Friday to rotate the vehicle to the vertical position, to allow for final checks ahead of Saturday’s fueling. The reason for the flow milestones most likely stemmed from the fact that once the Falcon 9 is mated to the TEL in the HIF, it then has to be transported up the ramp of 39A, positioned to vertical, and connected to the pad – at which point a whole new series of tests that can only be performed once a Falcon is on the pad can begin. As with any new launch pad, identification and fixes of anomalies are to be expected. 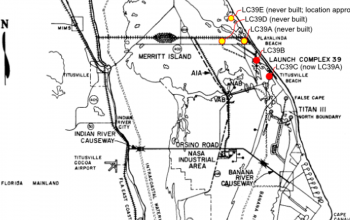 Moreover, a security notice to all KSC personnel announced that security would set up roadblocks to the LC-39A and 39B area. For the SpX-10 static fire, once the Falcon 9 is vertical on Pad A and its electrical, data, and propellant connections are secured and tested, the vehicle will perform a standard countdown with the SpaceX launch team to verify all of the connections and propellant flow capabilities for the new pad. The countdown test will culminate with a 3.5 second firing of all nine Merlin 1D engines at the base of the Falcon 9 first stage. Once engine firing occurs, the teams will move into post-fire securing operations, safing the vehicle before de-tanking it and rolling it back to the HIF for payload mate. 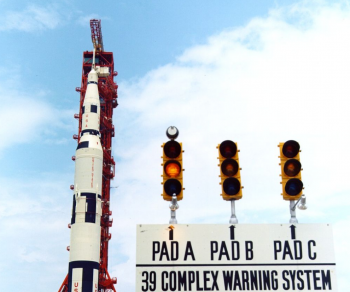 With the launch of Apollo 4 came the first of 92 launches from Pad A to date – 12 for Apollo and 80 for Shuttle. 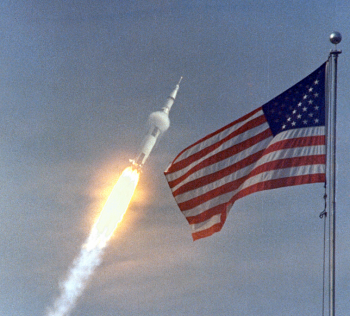 Through those 92 missions, none was as historic as the pad’s use on 16 July 1969 to launch Neil Armstrong, Buzz Aldrin, and Michael Collins on Apollo 11 for the first human lunar landing. 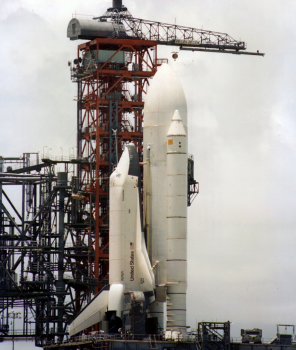 In 1979, 39A hosted its first Space Shuttle stack as the Shuttle Enterprisearrived for fit checks and validation and verification efforts that could only be achieved with a Shuttle at the pad. After working through the weekend, SpaceX test-fired a Falcon 9 rocket’s first-stage engines atop historic pad 39A at the Kennedy Space Center on Sunday, a critical milestone on the road to a Feb. 18 launch of a space station resupply mission. The Falcon 9 -- mounted on a transporter-erector -- was moved from SpaceX’s processing hangar at the base of the former shuttle pad, up an incline to the top of the firing stand before dawn Friday. The rocket was then erected to the vertical launch position in preparation for the so-called “hot fire” test. All SpaceX Falcon 9 rockets undergo such static firings before each launch to verify all ground and flight systems are ready for takeoff. 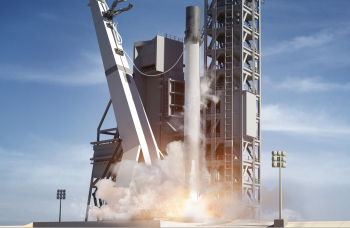 In this case, the test also marked a crucial validation of extensive modifications needed to convert the repurposed launch complex for use by SpaceX. The California rocket builder does not announce hot firings or provide details of pre-launch processing, but the rocket was easily seen on the pad and observers stood by all weekend awaiting signs of fueling and engine ignition. Finally, about 4:10 p.m. ET Sunday, white vapor could be seen venting from the booster -- a normal sight during fueling operations -- and a few minutes later, at 4:30 p.m., a billowing cloud of dirty brown exhaust could be seen shooting away from the base of the pad as the rocket’s nine Merlin 1D engines ignited, throttled up and then shut down. Assuming telemetry confirms a successful test and no major problems develop, SpaceX hopes to launch a Dragon cargo ship carrying more than 5,200 pounds of supplies and equipment to theInternational Space Stationat 10:01 a.m. on Feb. 18. 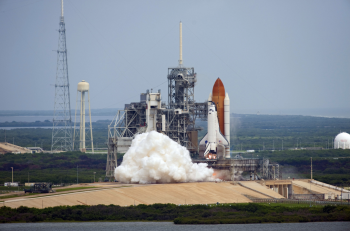 It will be the first launch from pad 39A since the orbiter Atlantis blasted off on the shuttle program’s final flight in July 2011. During preparations for a hot-fire test Sept. 1 at the nearby Cape Canaveral Air Force Station, a Falcon 9 exploded in a huge fireball five minutes before engine ignition. The rocket and its $200 million satellite payload were destroyed and launch complex 40 was heavily damaged. 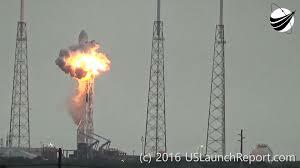 SpaceX ultimately concluded the failure was triggered by the rupture of a high-pressure helium bottle inside the liquid oxygen tank of the rocket’s second stage that was caused in part by ultra-low propellant temperature. 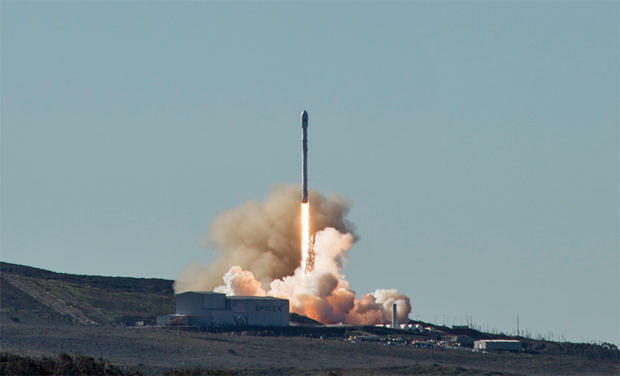 Procedures have since been modified to prevent a repeat of the failure and SpaceX successfully launched a Falcon 9 on Jan. 14 from Vandenberg Air Force Base, California. If all goes well, the company will follow the Falcon 9/Dragon flight with launch of an EchoStar communications satellite around March 1.